THE GALLERY. In the City Hotel Merano. At Merano Centre, Corner Via Alpini / Via Mainardo. 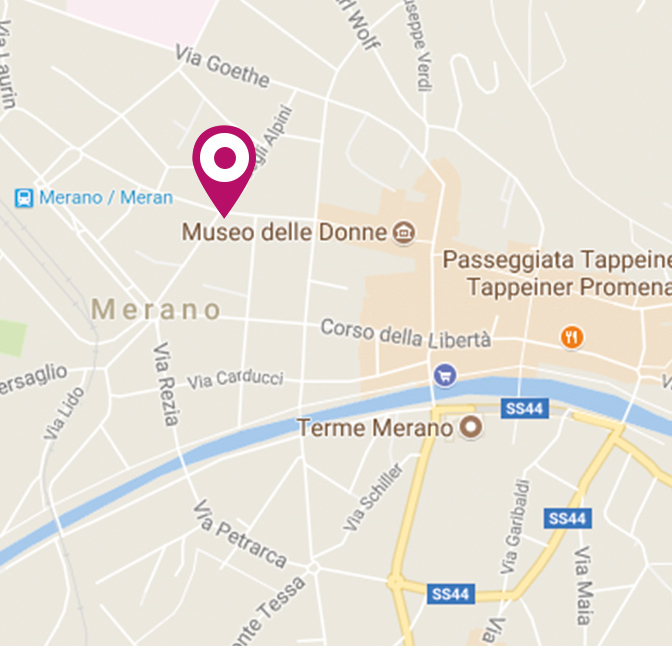 Distance to our other hotels in Merano: Flora Hotel & Suites: 400 m, Hotel Villa Laurus: 2,4 km. Welcome.